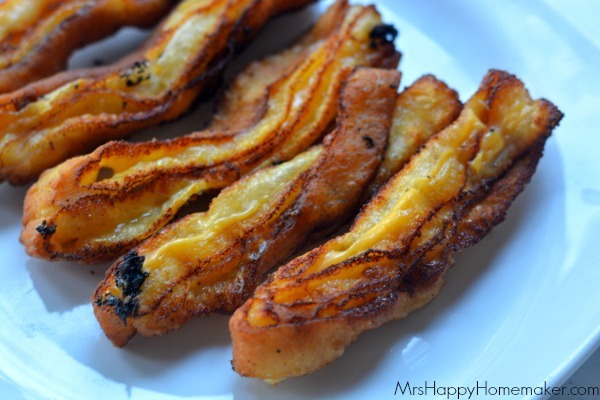 Deep fried ooey gooey cheesy flaky irresistible goodness with only 2 ingredients? That’s a pretty good description of these addictive Grilled Cheese Fries! 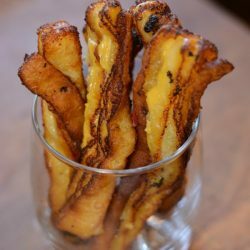 I, along with a ton of others on the internet, saw this recipe for Grilled Cheese Fries posted by Oh Bite It. As a self declared cheese addict, my taste buds – and my stomach – were instantly intrigued. 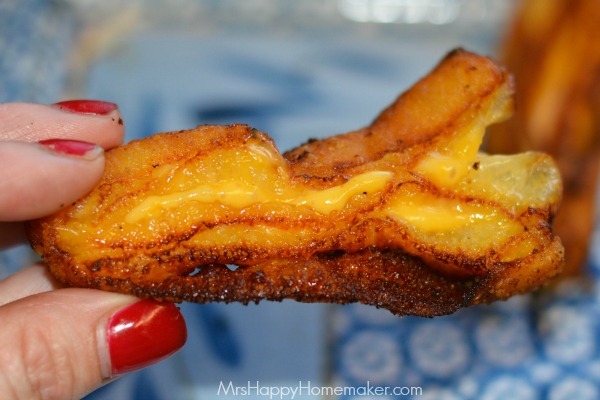 You can do a search for grilled cheese on my blog and immediately be able to tell that I have a deep infatuation with grilled cheese sandwiches. Something about taking a grilled cheese sandwich, slicing it into strips, & deep frying it to perfection appealed to every thing in my being. How could it not though? Not just with me, but with anyone. You know you wanna. How could you not? Mmmmmm. Did you just hit your mouth on the computer screen? I’m sorry. I guess I should have warned you. You need to make these. Licking the computer screen just doesn’t suffice. Good thing all you need is two ingredients to make these. Well, three ingredients if you count the oil to fry it in. Two. Three. Whatever. You’re craving these already. In the original recipe, honey butter crescent rolls & sharp cheddar velveeta were used. 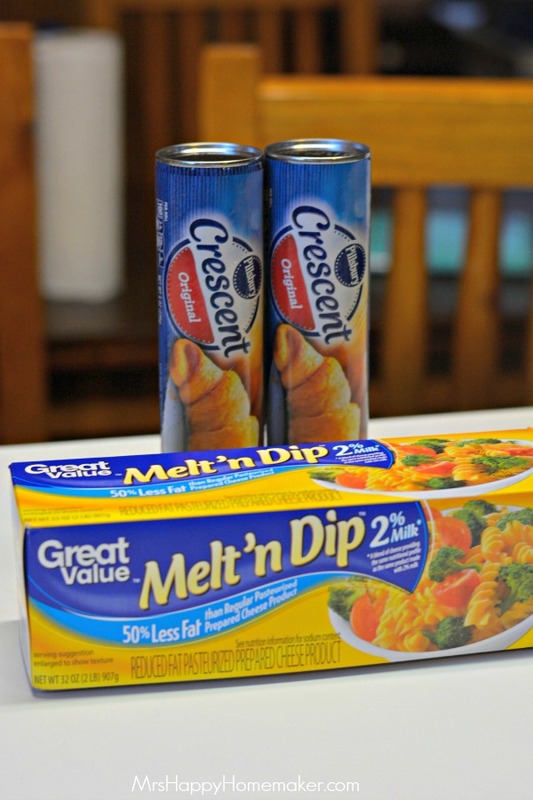 However, I only had original crescent rolls & plain ol’ WalMart brand Velveeta. Worked GREAT. More than great really. I’m sure you could even use regular ol’ American cheese if that’s what you got. I lightly floured my surface before I began because quite frankly, I wasn’t in the mood to have crescent roll dough stuck to my counters. 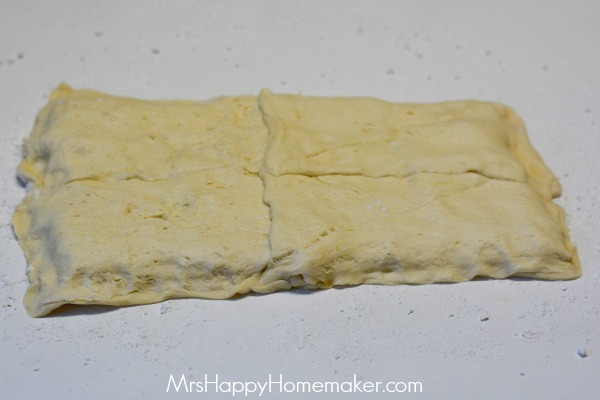 Take the dough from one tube of crescent rolls and press all the seams together – making one big rectangle. Now, slice some of the Velveeta cheese into thinnish slices & layer it on top. Now, for the other tube of crescent rolls. 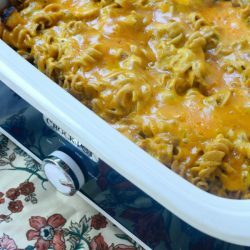 Beside of your layered cheese one, lay the other crescent roll dough beside of it and press all the seems together on that one too. 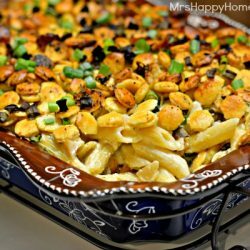 Then, place that crescent roll rectangle on top of your cheese layered one – and press the seems together on the edges sealing the cheesy goodness inside. 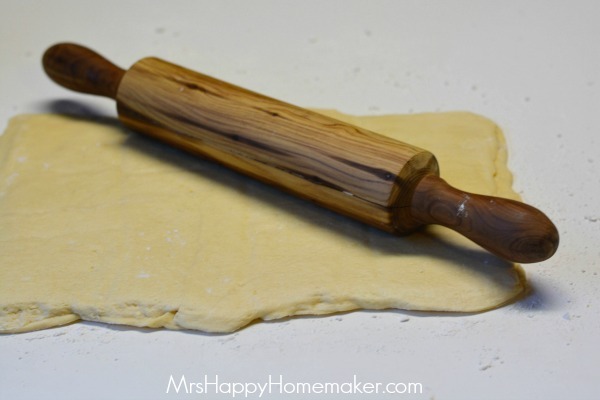 Take your rolling pin and roll it out. One more time now for good measure. Fold it in half one last time, and roll it once more. Look, the cheese & the crescent rolls are doing magical things now. Look how they’ve intertwined with each other. Now, that’s love. Now, let’s slice our fries. You can use a knife, I used a pizza slicer. I found it easier that way. I had pretty long slices, so I sliced them in half. Get your oil all hot. I used a deep fryer, but you can use a deep skillet. Fry your fries for just about 20-30 seconds. Watch them closely, don’t leave the fryer! 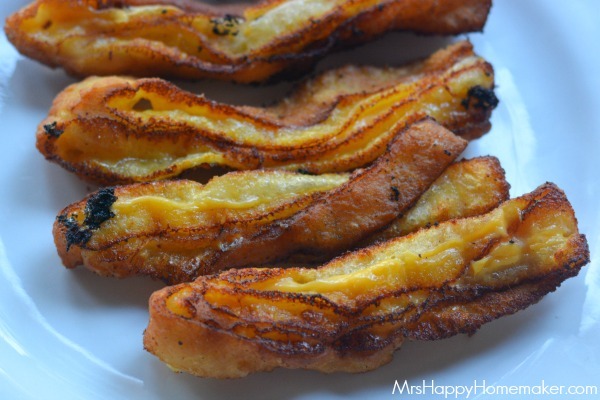 If you fry them too long, you wind up with these. And you don’t want these. 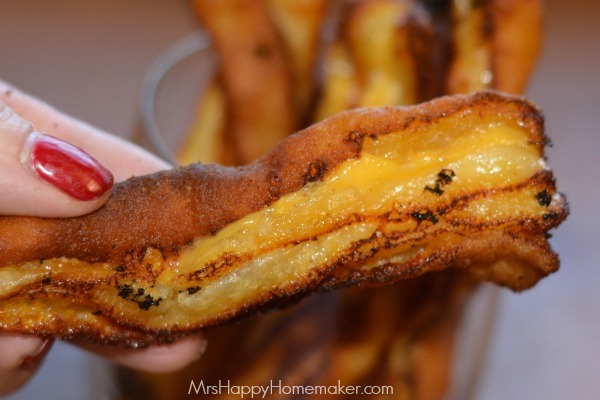 Grilled cheese fry fail. My dogs didn’t complain though. They quite enjoyed my mess-up. 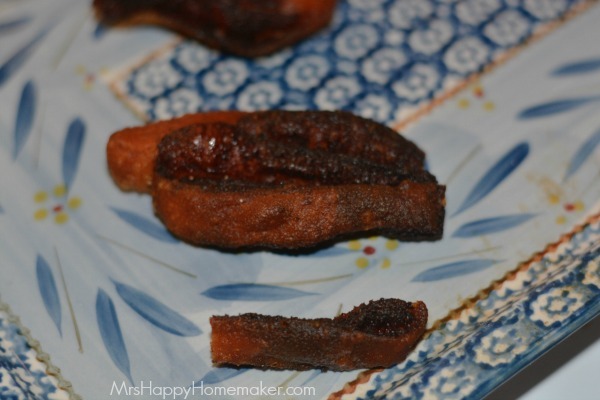 But, when you stand guard and fry them for only about 20-30 seconds…. you get beautiful cheesy magic. Devour them. You won’t be able to help yourself. Trust me on that. Lightly flour your countertop. 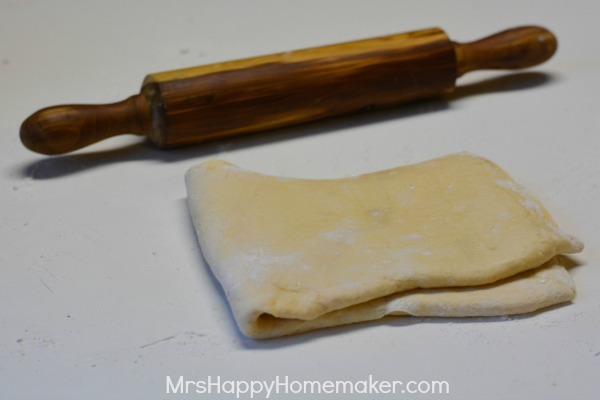 Unroll one of the tubes of crescent roll dough into a rectangle, and press the seams together with your fingers. 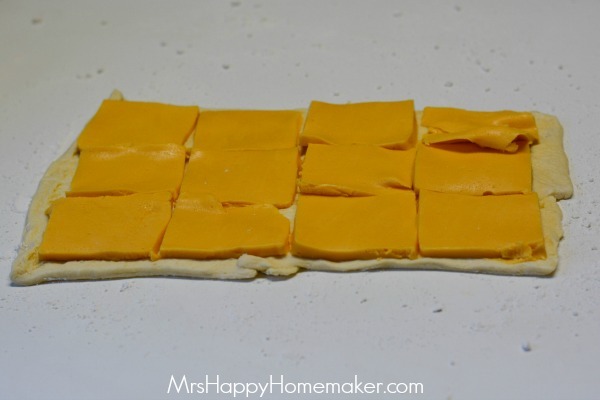 Lay the Velveeta cheese slices on top of the crescent roll dough rectangle. 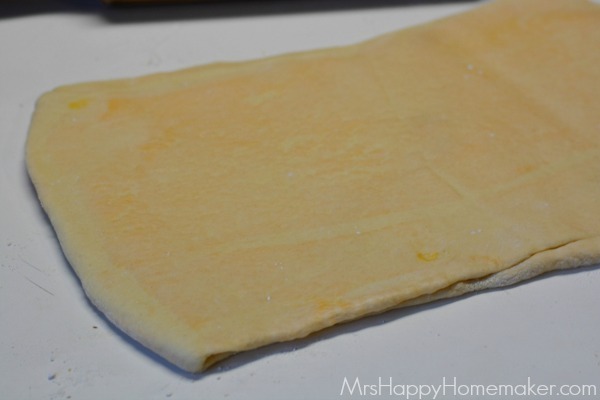 Unroll the other crescent roll dough, press the seams together as you did the first one, and then lay on top of the cheese topped one. Press the end seams together with your fingers. 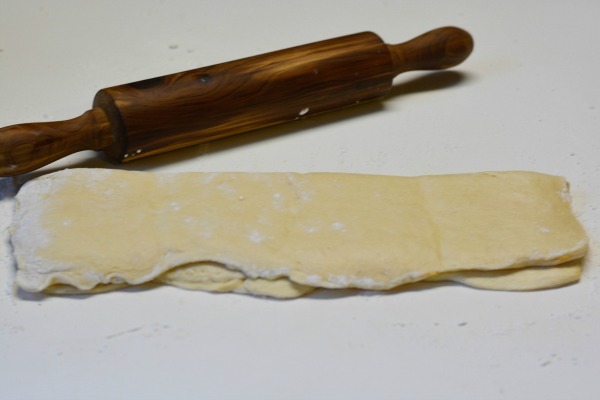 Roll out flat with a rolling pin. 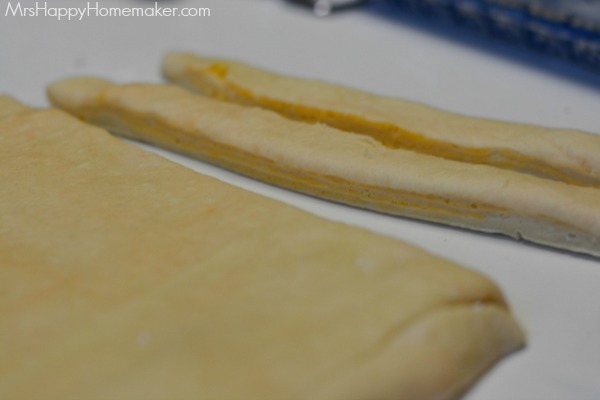 Fold your cheese filled crescent dough in half. Roll out flat. Fold in half again, roll again. Then repeat one more time. At this point, your cheese & dough will start becoming one with each other. 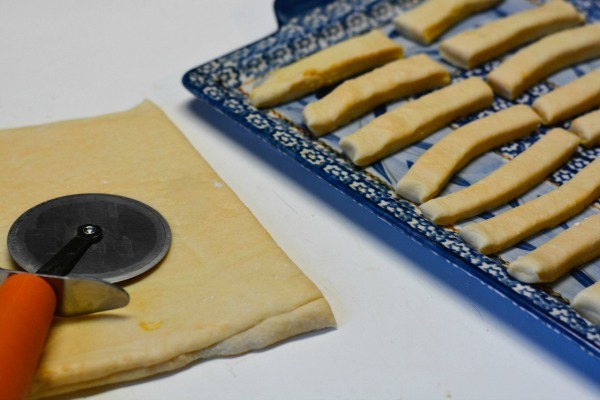 Slice the cheese filled dough into strips. Cut the strips in half if they are too long. Fry in hot oil for about 20 seconds, being careful to not over cook. Transfer to a paper towel lined plate to drain. Serve hot. These look amazing! Thanks for linking up with Show Stopper Saturday! grilled cheese fries. insanity. wish i could enjoy some right now! OMG this would be so good with bacon too!!!! *wiping drool off the screen* This is such a marvelous idea! 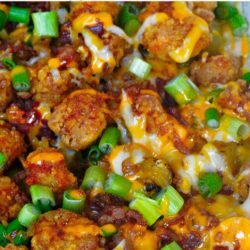 At the final fold, what about bacon bits? « Previous PostWIN a Keurig & Seattle’s Best #BESTDoorbusters Prize Pack!